One of the most frustrating things about teaching is seeing a student work like crazy and still not make music. It’s part of the Note Salad effect: all of the ingredients are there, but with little or no relation to each other. When a player makes music, the x factor that turns excellent technique, correct notes and rhythm, articulation and intention into music is listening. I like to ask students about the difference between listening and hearing and get a sense of where their attention is while they play. Frequently students are only doing a kind of “battlefield hearing”, where they are so engrossed with fighting to get things right that they can’t spare any energy to see if all of those elements are cohesively communicating to form phrases and musical ideas. It won’t ever turn into music if you don’t have the music in your head to start with. If you’re stuck, find a few recordings and begin imitating. What do you like? What don’t you like? Are you favoring an interpretation because it falls within your comfort zone and hides your idiosyncrasies? Do you have the technical chops to switch styles at will? Use your ears and your heart- and perhaps the counsel of an instructor or colleague*- to find the music that resonates with your artistic soul. Listening is what will tie all of the stuff you’re working so hard on together. And when you listen, the rest of us want to listen, too. *I developed the facility to imitate in a…somewhat…grandiose manner early on. I played the F scale as if it was the opening cadenza of Elgar’s fourth movement. I played Brahms as if I was Brahms: on his deathbed, sorrowful, freaking out, maybe in gastrointestinal discomfort. Bounce your ideas off of someone you can take a little criticism from. I’m glad I had so many insightful and kind people steer me away from the hysterical interpretations that, while cathartic, were monochromatic and overwrought. Though every now and again it feels good to really thrash away at some Cassado, I won’t lie. you were saying. Thanks for taking the time to put this together and sharing it with us. I think so much of playing an instrument is learning to distinguish differences. Some people can’t actually tell which of two notes is higher. I think we all start at this point, it is just a difference of where you are on the path. That path extends on indefinitely – for instance, some people can hear a choral piece once, and be able to transcribe it note for note the following day. One of my aha! 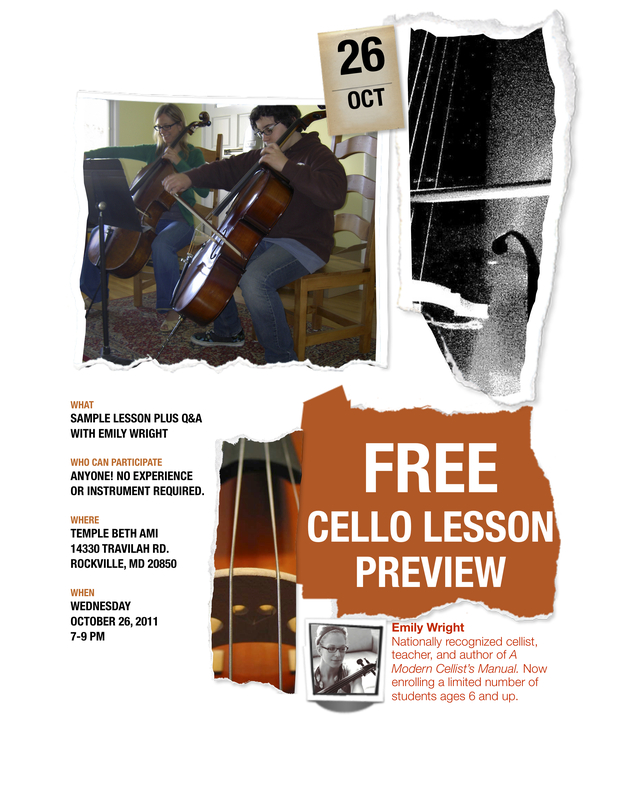 moments was when my teacher picked up my old German cello, which I thought had a harsh tone, and played it like a Strad. (I had named the cello Heimlich because it sounded like I was squeezing it to death). Anyway, giant revelation – it wasn’t the cello. Another revelation was when I realized that a note on the cello changes quality for the entire duration of the note, and that no note has quite the same sound shape as another note, unless it is for specific effect of repetition. And of course that each shape is part of the shape of the phrase as a whole. So that got me hooked into listening to every part of the note. And really listening to each part of a note as you play is deeply satisfying – kind of rich and dreamy, like a great meal that you can eat as long as you want and feel nothing but pleasure. Scales – anything. It is great. We don’t talk enough about the pleasures of practicing – that rich relationship between the sound, your brain, and your body. 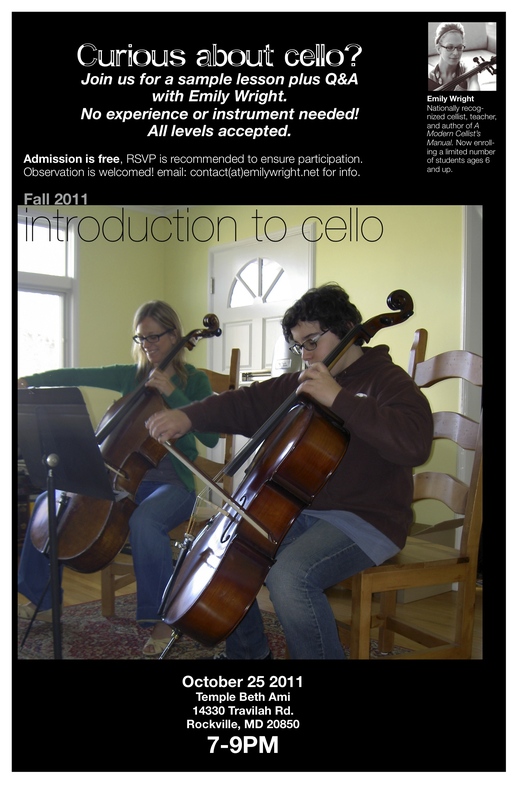 I think playing the cello is like skiing moguls for your hands. It just feels so good! There is also the discussion which interested me that people work on pieces at the limits of their ability, and can only hear a small part of the sound they are making, because they are in ‘battle mode’ – great term. In fact, if you think about it, those pieces we describe as being at their limits are actually quite a bit beyond their limits to play well. I took some lessons with a voice teacher who was a Feldenkrais practitioner, who convinced me that working on a piece beyond my capabilities was counterproductive. Feldenkrais is a therapy for all kinds of things using awareness through movement. His point was that learning is really distinguishing differences, and if you weren’t aware of the differences, you weren’t learning. His teaching method thrilled me – it was always so gentle, non-threatening. By helping me discover differences one at a time, he could make the impossible possible, then easy. After easy, he would add, came elegant. Anyway, I really love it when I can tempt a student away from the hard pieces they are burning to play over to something simpler that I can teach them to play beautifully. If I can teach them enough on the easy pieces, the hard piece will become an easy piece, and not a roadblock to progress and ego. And they have the satisfaction of being able to play all of their pieces really well, and without anything being particularly difficult. How I’ve missed hearing your thoughtful approach to helping others make music! Thanks for the video. I have been considering quitting cello all together, and I wasn’t sure why except that I don’t play as well as I’d like, that it’s “too hard” and that there isn’t anything for me to look forward to. But I think you hit the nail on the head. I think the reason is that I don’t have anyone (realistic) to compare myself to, to aspire to sound like. I think what I need is to get out of private lessons and somehow get playing with other people. I have no idea how to make that happen, being an old lady who is still struggling with the basics of playing cello (vibrato still is not my friend, for example). But you gave me something to think about… Emily, you rule! Indeed, you have articulated my struggles as well. The mind is a fascinating thing; just as it is difficult to write and edit at the same time, I think it’s equally hard to hear and listen. I will certainly take your ideas into all my future practices, although I do think I listen better when I’m playing material well inside my comfort zone, so I can listen more carefully. I went back two weeks ago and started exploring the Gossec Gavotte again. Then again, perhaps it takes two to listen. On a tangent to recording ones’ own playing – One interesting peculiarity of this era is how important my smartphone has become as part of my practice. It’s my recorder for both lessons and practice. It’s also my tuner and sometimes my metronome. I am becoming an advocate of the position that musicality needs to be integrated into the lesson structure from the very first song. So many questions! What does ‘energy’ mean? How is it maintained? What are the questions one should ask in forming an intepretation? Should we attempt Bach if we don’t have the music theoretic underpinnings?